Rain, rain, and rain! With a few big rain showers the inside bite for flounder and red drum has gotten thrown off once again this year. Luckily it should only take a couple of days for the water to clear up and the fish get back on. I am glad to say I did a shark trip this morning and the bite was pretty good. The water was still a little green near the inlet but their were a few fish around. 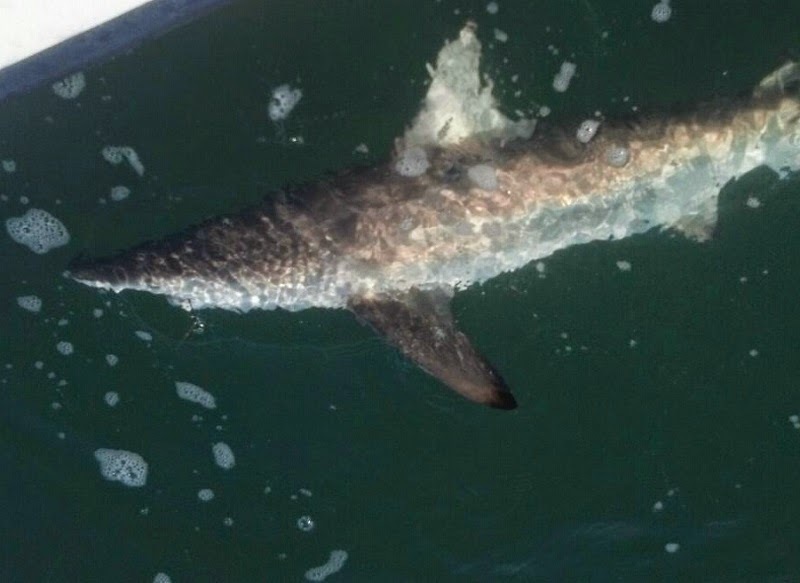 We landed 3 sharks between 3-5 feet and had a couple other good runs. Hopefully the weather will still nice for a few days and the bite will keep getting better.